Amongst all the plaudits for the cinematic highlights in the career of the late Richard Attenborough there was mention of some other interests: his lifelong support of Chelsea FC, his chairmanships at Channel 4 and the BFI. 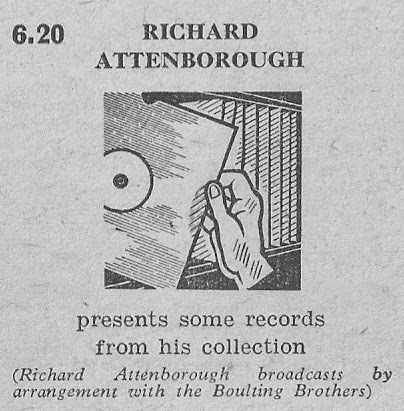 Of the obituaries for Lord Attenborough that I’ve read only The Times mentions the rather surprising revelation that, for a while in the 1950s, he was “an immensely popular disc jockey”. He’d already made a small number of radio appearances as an actor. One of the earliest I can trace is the Light Programme drama The Silver Lining alongside his wife Sheila Sim (broadcast 16 September 1948). In 1950 he appeared in Our Mutual Friend and Fairplay for Fatherhood. But that same year Richard was in front of the microphone with a Saturday night Record Rendezvous. Not that he was playing that many discs, the show ran, in not untypical BBC fashion at the time, for precisely 26 minutes from 11.30 to 11.56 p.m. It seems listeners and BBC bosses obviously liked him as later in 1950 he had a slightly longer programme from 6.20 to 7.00 p.m. each Friday over on the Home Service. 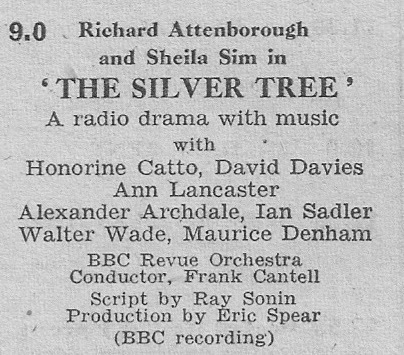 Billed in the Radio Times as “playing some records from his collection”, though no doubt, in fact, carefully selected and scripted by Anna Instone’s Gramophone Department. 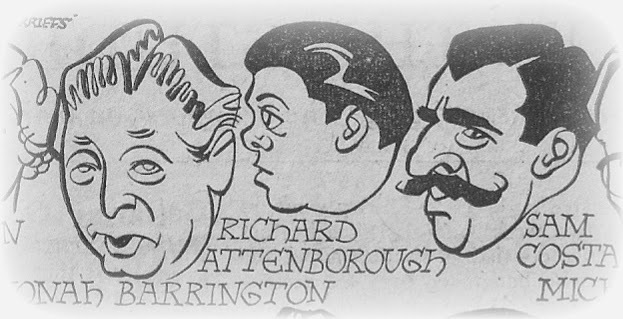 We can only wonder what these shows sounded like but it seems that, as The Times said, he was “immensely popular” enough to feature some six years later as one of the faces in “A Cavalcade of Disc-Jockeys”, sandwiched in between Jonah Barrington and Sam Costa in the Radio Times illustration by Bob Sherriffs. The accompanying article describes him as having “the happy knack of making difficult classic music sound easy”. As an aside that same illustration includes actor Dirk Bogarde who was also doing the odd bit of record presenting. Posters to the DS radio forum constantly sniping that radio bosses, and in particular Radio 2, only seem to appoint TV stars as DJs might like to take note! At far as I can tell his stint as DJ lasted just a year. 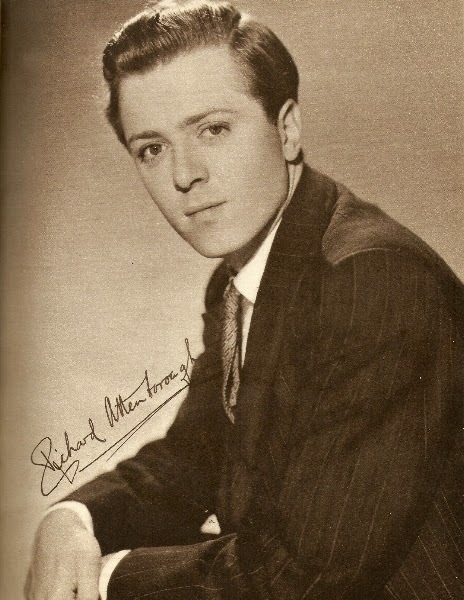 But who knows, if the acting career had taken a nose-dive, perhaps we’d have had Richard Attenborough as the housewife’s favourite or picking the pops.